Enter a whole new adventure.... in a whole new way to play tombs... Not one tomb by itself... oh no... but two are needed to finish this adventure! The Tower of Solaris, a tower said to be the resting place of the trapped spirit named Solaris, the second tower, Luna, is connected, and then again within it Luna is trapped as well... Can you free those spirits by reaching the top of the tower? 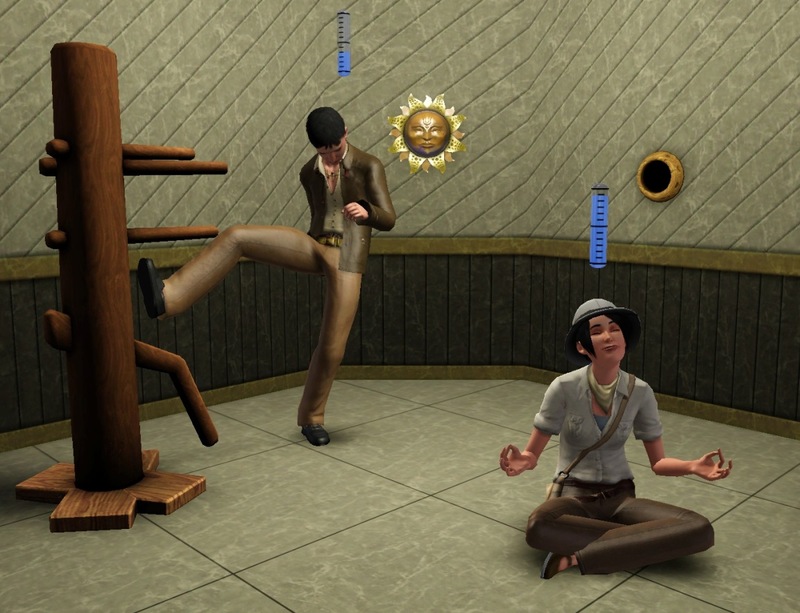 Perhaps if your sims do so, they shall be rewarded. 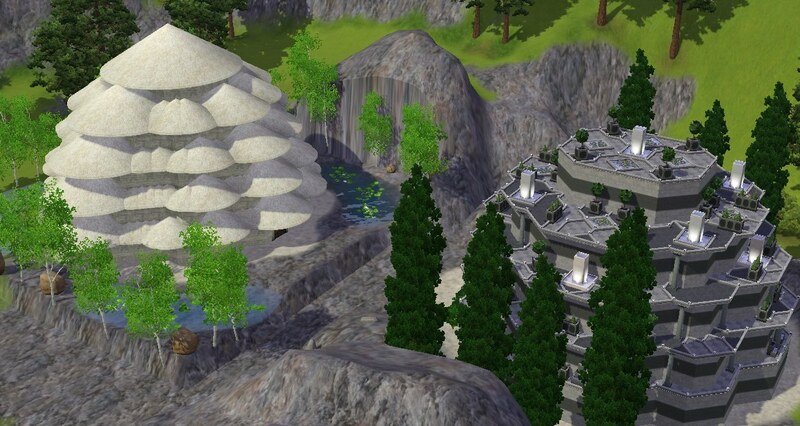 Tower of Solaris, and Tower of Luna, 2 separate lots, but together they are a tomb, they require one another to complete, will you and your sims have the skill to pass this tomb? will you make the right choices? Two towers, means 2 times the tomb, or does it? well, not necessarily, but this is a long tomb, great for adventure, it took quite a while to build, and even though the mechanism is great, the puzzles are awesome, and the interior is cute, I'm not too happy with the exterior... which has always been my downside, but fear not, because when you step right in, you wouldn't care even if the tomb was from the outside a big grey cube. To start the tomb you take a visit first to the tower of Solaris, to proceed you must finish the floor's challenge, and then enter the well to the next floor.... simple? Well, it would naturally sound simple... but instead of only going one floor up, you're going to find yourself within the other tower each floor you climb. 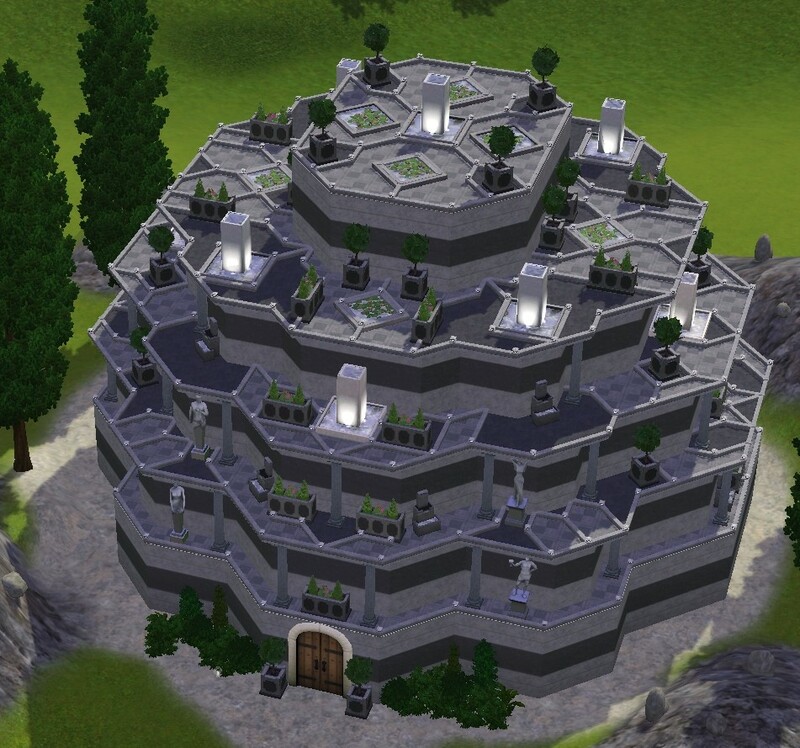 Brace your sims, as this is not going to be simple, they might even find themselves running into traps one by one... too bad they can't die from them, except from a few mummies... that might... be there. 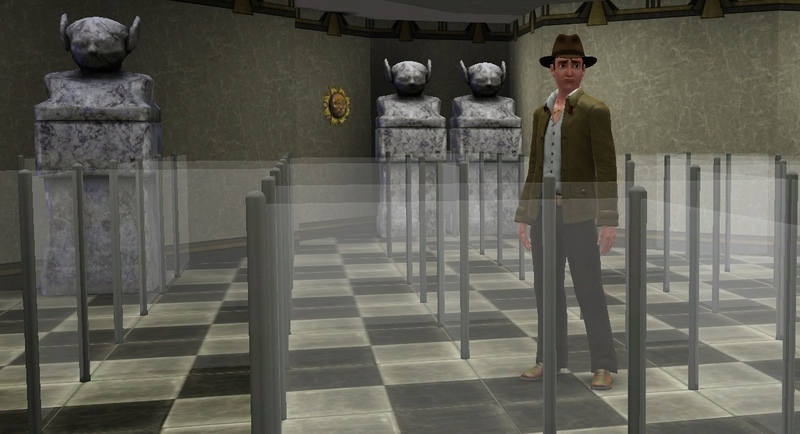 The tomb has many things to offer, and best way to find out is to try! 2 Endings, and also a possibility to experience both endings~! Training room for meditation that will be required a bit. a kind of a nice storyline~! Check the first reply for more pictures! 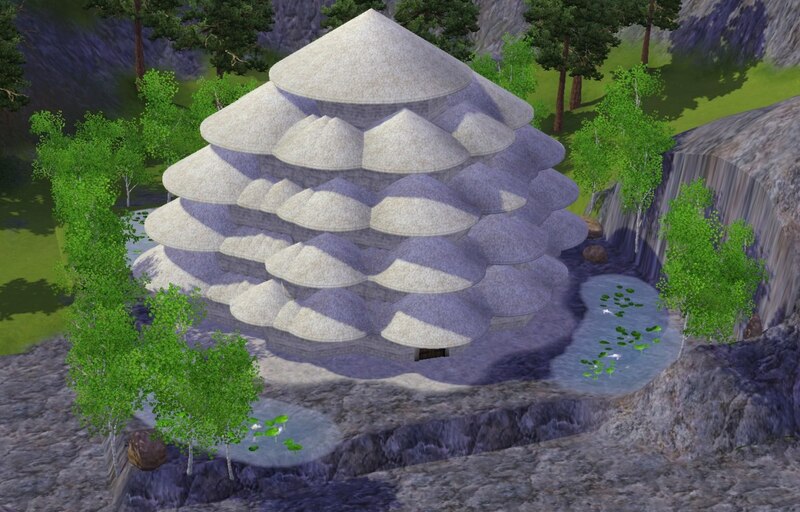 Lot size: 40 x 40, both towers, community lot, no visitors allowed.
! - The lot should be placed on a somewhat flat terrain, placing it on mountains would make it inaccessible, unless you change the front and soften it. Made with Verison 1.57.62.023002, no CC. 95 people have said thanks to nikokok for this download.